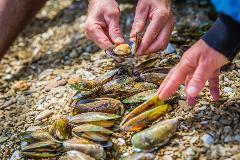 Your day includes paddling through the turquoise waters to a mussel farm to gather this delicious seafood for lunch (though other options are available for non-seafood lovers). After lunch, continue your paddling experience – past sandy beaches, marine farms, and even a shipwreck, before returning to Portage Bay. 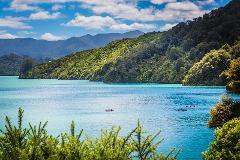 This is a wonderful day out, exploring a different Sound to the more well-known Queen Charlotte Sound. It is easy for you to join this trip if you are staying at Portage Resort Hotel or any of the accommodation houses in the Kenepuru Sound, and we can organise water transfers out of Picton to join the trip also. 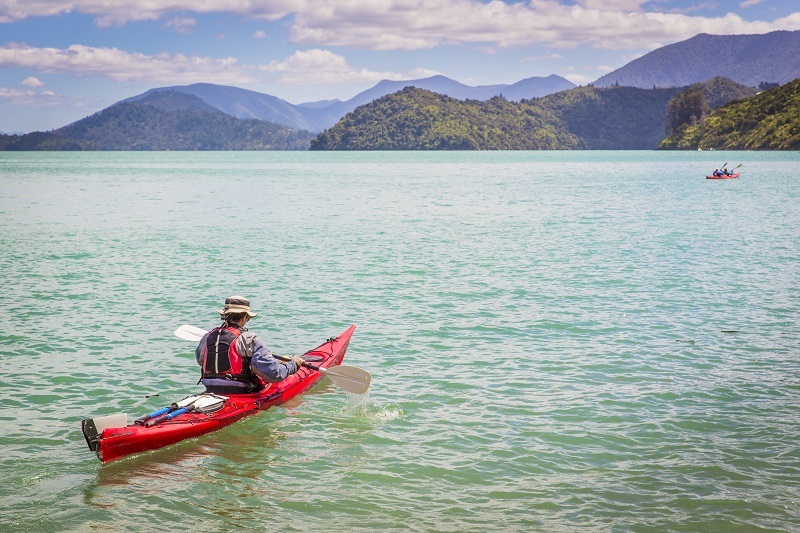 *Portage Bay is in the Kenepuru Sound, a 15 minute boat ride from Picton. There is an additional cost of $80 per person return, if a boat transfer is required to start this trip. What if I am not staying in Picton, but want to do this trip? We can organise for you to catch a water taxi to join the trip. The water taxi ride will cost an additional $60 return. Yes, we can drop you straight to the ferry or bus terminal, if required. If you are returning to Picton by boat, you should be back in Picton by around 4.30pm.